This is how Gavin Vaughan, Scottish Rugby’s lead performance analyst and renowned spotter of talent, views the sport he studies with incredible precision. In one sitting, he can spend up to 20 hours hunched over a laptop, ripping matches apart, scrutinising tactics and trends, assessing referees right down to the tempo of their calls, examining in minute detail what an opponent does well and where he can be got at. The volume of information he and his team generates for Gregor Townsend is remarkable – and it has to be. Each international side has access to the same match footage from the same angles and employs variations of the same technology. The pressure is on Vaughan to outfox his opposition. 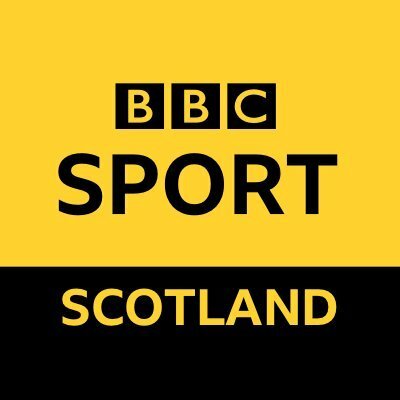 In a wide-ranging interview with BBC Scotland, the Welshman discusses scouring shaky footage from Fiji, visiting top NFL and NBA teams, and introducing virtual reality simulations to training. The reams of data Vaughan gathers is broken down and presented to players on their phones and tablets via an app. The aim is to arm the squad with as many potentially decisive nuggets of knowledge as possible. “It’s about highlighting individual weaknesses and strengths – where could we gain opportunities?” the analyst says. “Do players carry the ball in a certain hand? Do they always step off a certain foot? “When they’re up against their opposite man, players can tap into as much detail as possible. If they just want to look at how he tackles on his left shoulder, two clicks and they’re in. In his thirst for knowledge and innovation, Vaughan has travelled to America, studying the NFL’s San Francisco 49ers and LA Rams, the Golden State Warriors in NBA and Premier League side Leicester City. He is working on a fascinating technological project that could have broad ramifications for how Scotland’s players prepare for games. Vaughan wants to create a “virtual reality lab”, where players would don electronic headsets and be shown simulated 3D rugby scenarios – a line-out, a first-phase attack, a high ball – and react. It would operate as a flight simulator does for pilots, and given how brutal elite rugby can be, it would allow players to log more practice time without clattering into each other. “The 49ers quarterbacks who don’t get enough on-field reps can come into the VR lab and get extra practice in a virtual world, seeing plays from the quarterback’s perspective,” Vaughan says. “Particularly with the physical demands of our game, there’s mental learning, visualisation and decision-making through VR. Line-out callers, half-backs, full-backs looking at the back-field perspective – you could use it right across the board. Watch: Can Stuart Hogg catch flying coffee cup? While working under Townsend at Glasgow, Vaughan spent much of his time scouring the globe for hidden gems. He still scouts, although he is more focused now on players already eligible for Scotland, and who might be good enough to play Test rugby. He was tipped-off about Blade Thomson, the huge New Zealander who qualifies through his grandparents and won his first Scotland call-up this autumn. 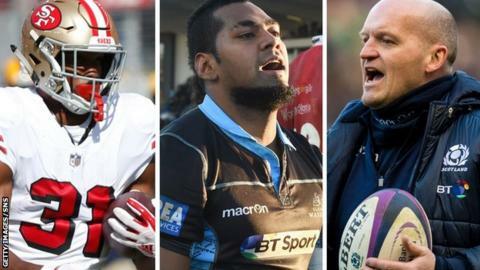 He stumbled across Huw Jones, the prolific centre, and helped build a package of data that led to Glasgow signing the outrageously talented forward Leone Nakarawa. He also unearthed monstrous Australian winger Taqele Naiyaravoro, who spent a year at Scotstoun. Much of this is painstaking and somewhat unscientific work, reliant upon word of mouth, helpful contacts and luck. “I felt the force of Naiyaravoro once in training. I was doing a bit of extra work with the back three, a finishing drill in the corner with a pad. He smashed me. That clip was a popular addition to the Glasgow meetings for a while,” Vaughan says. “I watched a lot of Nakarawa in random sevens footage for the Fijian army and Fijian club rugby. Some of the footage was… interesting. “Particularly being a Scottish club without the budgets of French and English clubs, we have to be smarter, and put a lot of work in looking for those points of difference in players. “A lot of it is about attitude and ‘coachability’, speaking to people who have coached and played with him. Do guys work hard? What do they do off the ball? “Someone who’s going to buy into what you’re trying to achieve. Someone who brings value from experience in a different environment. Who should Scotland play in Cardiff this week? Pick your team to face Wales then share it with friends.